Boston George not only talks the talk, he walks the walk. No wonder then that Jeezy grabbed him for his CTE imprint when he burst on to the scene as a rapper. What many may not know is that George started in the industry as CEO of his own label, AMG, which he will rep to the dirt. AMG was responsible for the success of gifted Houston wordsmith, Marcus Manchild, as well as some of Killa Kyleon's finest offerings. When neither offered up the work ethic that BG thought his investment deserved, he decided to show them how it's done and set about marketing himself as an artist, with notable success. 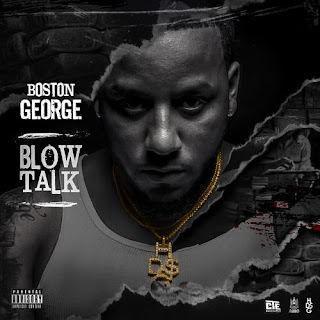 Last week saw the release of "Blow Talk", Boston's latest project with cameos from label head Jeezy and fellow trap soldiers Boosie, Dave East and Young Greatness. This week he is following that up with a glimpse in to a more personal side of his life and his very humble beginnings in the form of a 12-minute documentary of sorts entitled "Tru Story." Watch George's rags to riches story below and be sure to give that "Blow Talk" a spin as well.